Undoubtedly one of the most popular features on the blog in 2013 was 5 Questions, our interview series featuring puzzle constructors, authors, filmmakers, game designers, puzzle enthusiasts, and creative people in general whose work and play relates to puzzles. And so many of them were happy to share their latest projects with the PuzzleNation audience! Let’s see… I’m hard at work on a new novel! Can’t wait to see what he’s got in store for us next. We just finished a successful Championship event in San Juan, Puerto Rico. It was our first time outside of the continental US, and the race was really well-received. Like in years past, a total of $10,000 was given out, but this year it was divided among the top 8 teams as opposed to years past where only first place received cash prizes. And speaking of, we are excited that our 2014 season is just around the corner! We’ve consolidated our schedule for 2014; our first event is in late January and the last regular-schedule event of the season will be June 7. This leaves us room for another new Championship location in a potentially colder climate that we could not typically do in November/December (the usual dates of our Championship) as we are looking at an August/September Championship date. 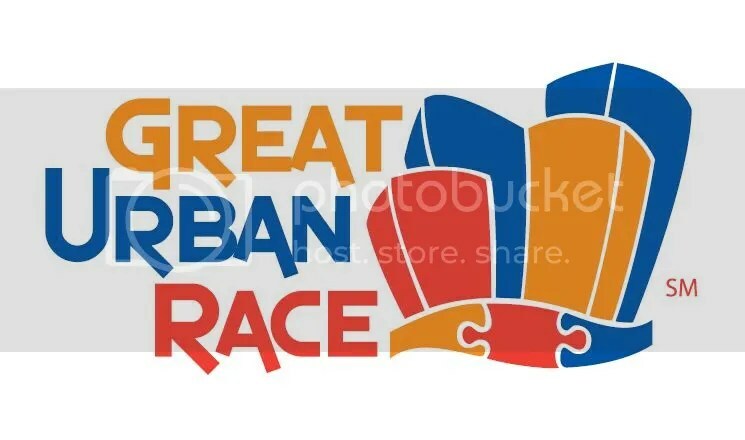 Here at Great Urban Race, we’ve decided that 2014 is the “Year of You,” and we are focusing on listening to participant feedback more than ever. We put out a vote for Championship locations as well as several other campaigns like it through our social media pages. Kathy Matheson (a.k.a. puzzle blogger Crossword Kathy) had some interesting news to share, not only regarding her puzzle-constructing aspirations, but interacting with the PuzzleNation readership as well! After the 5 Questions interview appeared, I was pleasantly surprised to get feedback from a couple of your readers! One is a fellow journalist here in Philly — I recognized his byline but have never met him, and didn’t know he was a puzzler, too. He told me about a local constructor he interviewed a few years ago, when she was 95! Now she’s about to turn 100, and he said she’s still making crosswords. Amazing. I hope to write a story about her myself, somehow tying it in to the just-passed centennial of the crossword. The other person who contacted me is a constructor I admire who very kindly offered to help with my grid-building dreams. Part of me really wants to take him up on the offer, but part of me is very independent and wants to do it alone. The truth is that I haven’t spent as much time constructing as I should, so perhaps I should do more of that before asking for help. I did send the L.A. Times one of my puzzles, which was rejected by a very nice note saying that “there’s some good work in your grid, but the theme puns are too stretchy” for their taste. Oh well. Puzzle poet Peter Valentine regularly posts his latest creations on Twitter and Tumblr — I’ve posted his poem “Birthday” for the 100th Anniversary of the crossword above — and has recently added another social media platform to his arsenal. I’ve started an instagram feed, @peterboothby, which helps to reach many more folks and generate discussion. As you might’ve expected, constructor and puzzle historian David Steinberg has kept himself very busy between his own crossword construction and his work on the Pre-Shortzian Puzzle Project, which recently passed the 14,000 puzzle mark! On December 21, the crossword centennial, I gave a talk at the Palos Verdes Peninsula Center Library on crossword history, the Pre-Shortzian Puzzle Project, and crossword editing, solving, and constructing. Also, I constructed a special centennial puzzle for the Focus page in The Orange County Register. Prolific constructor Robin Stears has been puzzling up a storm since last we spoke. The dust has settled from the 100th anniversary celebrations, and of course, the other holidays took up some time, but I’m ready to get back to work. My daughter took pity on me and spent a day fixing my Tumblr blog so that it’s easier to find, sent out messages to all my Tumblr followers, and helped me set up a Tumblr-exclusive giveaway (to make up for my ineptitude). She even tweaked it for the holidays! I’m starting off the year with a 21×21 StearsWords puzzle entitled “Things to Look Forward to in 2014.” There’s so much to look forward to, it needed a giant-size puzzle. Naturally, I’ll be keeping a close watch on what’s hot, just in case there’s another “Sharknado”-like event that begs to be immortalized in crossword. And solvers will still find the majority of my work in Penny/Dell puzzle books. They’ve been printing my puzzles for over twenty years, and I’m a huge fan of their puzzle books, as evidenced by the ginormous stack of Good Time Crosswords in my office. As you might expect, David L. Hoyt has been busy. The most syndicated man in puzzles continues to produce his signature Jumble puzzles, but he also has a new puzzly product to share. Just 2 Fun (pictured above) is David’s latest creation and his first app for younger players (ages 9 and up). The app is available for iPad, iPad mini, iPhone 4 and 5 and iPod touch devices. Just 2 Fun is a kids’ version of the enormously successful puzzle app Just 2 Words. Even our latest interviewee, New York Times crossword editor Will Shortz, had something to share with us in the few weeks since appearing on the PuzzleNation Blog. At the moment I’m close to finishing a personal goal — to play table tennis every day this year. As I write this (on Dec. 17), I’ve played every single day since Jan. 1 — 351 days in all. Thank you to all of our 5 Questions alums! They helped make 2013 a banner year for PuzzleNation Blog, and as we head into 2014 with new interviews to come, I promise to keep you posted on everything these brilliant puzzly folks are up to. Thanks for visiting the PuzzleNation blog today! You can like us on Facebook, follow us on Twitter, cruise our boards on Pinterest, check out our Tumblr, download our Classic Word Search iBook (recently featured by Apple in the Made for iBooks category! 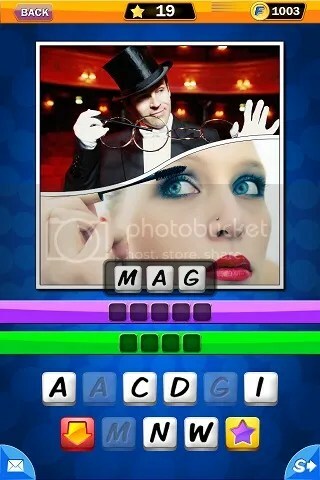 ), play our games at PuzzleNation.com, or contact us here at the blog! This entry was posted in PuzzleNation, Puzzles and tagged 100th anniversary, 100th crossword anniversary, 5 Questions, Announcements, constructing, construction, Crossword Kathy, crosswords, David Steinberg, DIY puzzling, Geeking Out, Great Urban Race, interview, Kathy Matheson, New Year's Resolutions, New York Times, New York Times Crossword, Penny Press, Penny/Dell Puzzles, Peter Valentine, Pop culture, PuzzleNation, Puzzlin' fool, Robin Sloan, Robin Stears, StearsWords, table tennis, Will Shortz, Will Shortz's WordPlay, Wordplay by gmdirect. Bookmark the permalink.